People’s World to Trump: We are here to stay! 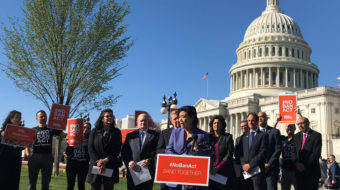 We join with the newspapers of America today in declaring that we will not cease telling the truth about President Trump, his agenda, the corporate backers who give him aid and comfort, and the politicians who for years have laid the groundwork for his rise to power. 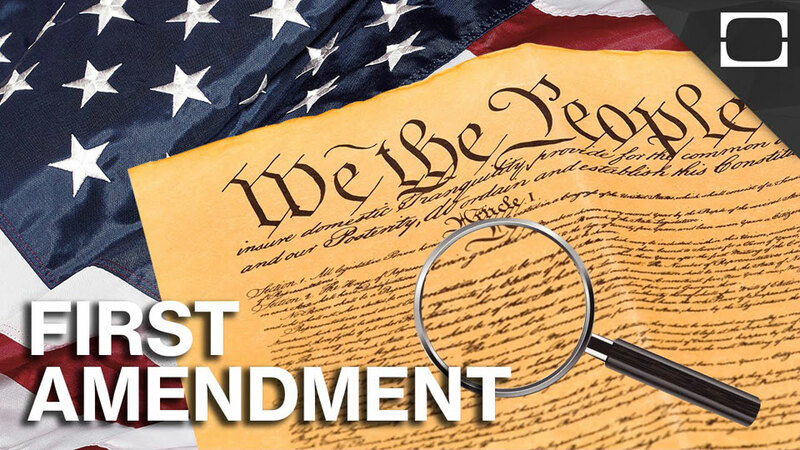 We are determined to defend the First Amendment to the U.S. Constitution, ourselves, our reporters and staff, and most importantly, our readers, against the attacks mounted by Trump and his administration. We stand today in solidarity with journalists across the country who are speaking out against Trump’s dangerous vilification of and attacks upon the free press in our country. It was only less than a year ago that one of our reporters, along with a reporter from the St. Louis Post-Dispatch, was rounded up in a “kettle” and arrested by police for covering protests against ex-officer Jason Stockley’s acquittal in the 2011 killing of Anthony Smith. We recall even more serious government attacks on our predecessor newspaper, the Daily Worker. 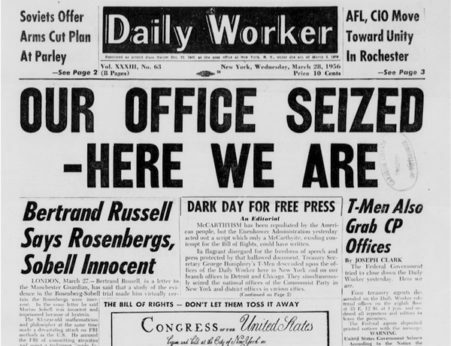 On March 27, 1956, federal agents entered our offices in Manhattan, trashed the premises, and ordered us shut down. We remind our readers about how the agents stopped that writer in the middle of his editorial to show just how far Trump’s attacks on the free press can go. His attacks on the media sound dangerously like those made by dictators and tyrants, people who do to the press in their country even worse than what was done to the Daily Worker in 1956. Particularly dangerous right now, however, and deserving of condemnation from everyone, are Trump’s incitements to his supporters to physically attack and verbally threaten reporters. Trump uses every possible chance he gets to demean journalism and its mission to preserve freedom and democracy by keeping the public informed. Today, August 16, 2018, we pledge to continue covering the news of the resistance to Trump that has spread across this nation. We will not be silenced. We came back after they shut down our offices in 1956. And today, we join with all the rest of the press in this country to declare: We are here to stay!